In early November, I attended the Northeast District small group Children’s Ministry. They try to meet at least six times a year for lunch, praying and sharing. I met Catherine Vest, who had only been on staff as a Children’s Minister for two years but has more than seven years experience in ministry if you count all her years of volunteering. She was so excited to share her newly revamped Wednesday night program with her small group. Catherine shares her new program, in her own words, this month. Sept. 5, Searcy First United Methodist Church began a new Wednesday night children’s program called Bright Night. This brand new program is for children entering Kindergarten – 5th grades. Each Wednesday from 6 – 7:15 p.m. children hear God’s word, actively use the Bible and know what it means to give God glory! 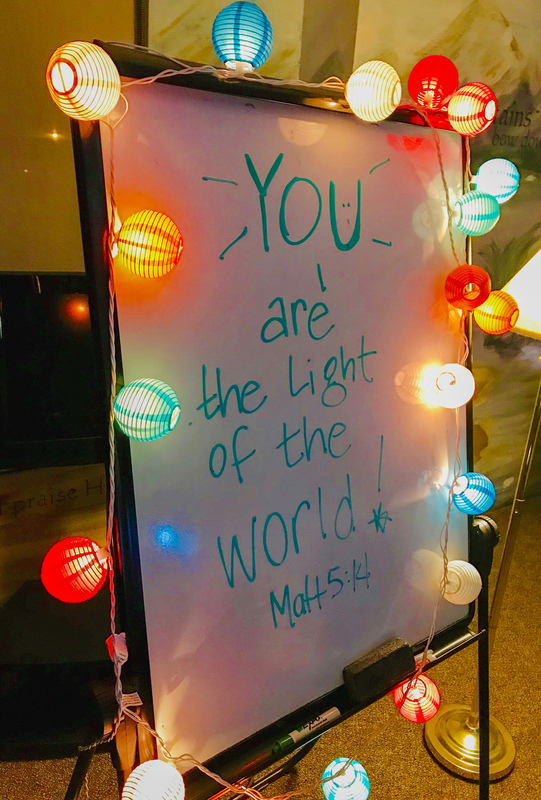 The focus for the fall semester was Matthew 5:14-16; God made us be lights in the world. Wednesday evenings at Searcy First are the highlight of a lot of children’s week. This fun-filled experience on Wednesdays forms faith we hope children will carry with them throughout their lives. The idea for Bright Night came out of a ministry planning session in the spring of 2018. Our ministry team wanted to provide an opportunity for everyone in our congregation for mid-week discipleship and study. Whether you are nine months old or 99 years old, we wanted there to be something that would grow faith and fellowship in the middle of the week. In working with children through Sunday School and our other programming, I noticed an overall lack of empathy among children and a need for children to be encouraged. After meditation, prayer, and study, Mathew 5:14 – 16 stuck with me as a means to teach young children who God intends them to be to others in the world. Each Bright Night of the fall semester, the lesson plan revolved around this verse. We studied it together and talked about ways we could live out this verse. We looked at ways to live it in our own lives, and how others are lights in the community to us. We also looked at ways we could be lights to others. This was accomplished through art, music, drama, science and even some mission field trips! Our schedule began each night with singing and prayer request time, then moved on to a large group lesson. Small groups followed for various age groups and then we all gathered back together to play large group games. 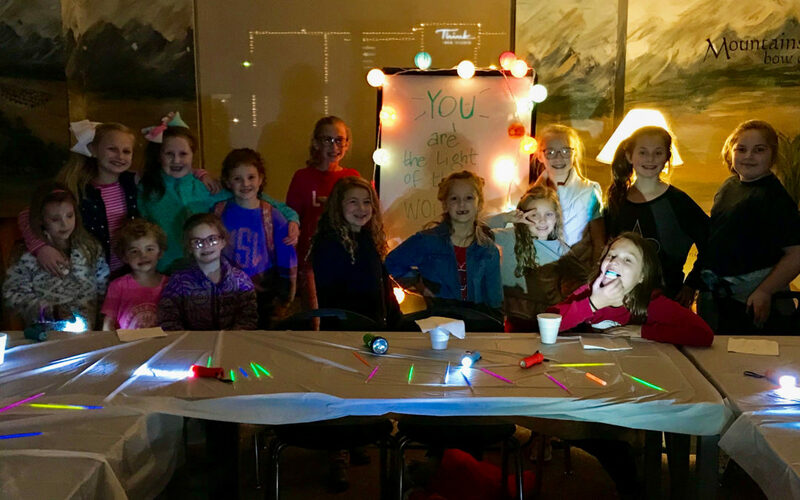 To emphasize the Bright Night theme, every week our group meeting room was decorated with colored twinkle lights and each child was given a flashlight to write prayer requests by and a glow stick bracelet to wear during game time. We celebrated our end of the semester by taking healthy goody baskets to thank some “bright nights” in our community at the Searcy Fire and Police Departments. We are looking forward to continuing this program in 2019!